About Us - With Tina Experience IS the Difference! With Tina Experience IS the Difference! Tina received her real estate license in 1980 at the age of 18. Her motivation to pursue real estate at that young age was initiated by her love of people. Tina became a broker in 2004 and opened Tina Hearne Realtors. A Fort Worth native, she has a Masters of Science in Speech Communication and Bachelor of Science in Speech Communication from Texas Christian University. Tina has a diverse business background and has developed a large network of relationships. 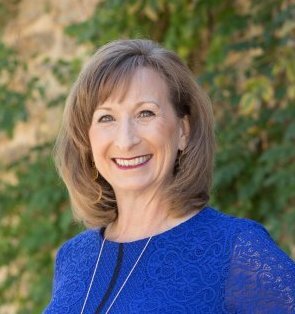 She is currently a member of the MetroTex Board of REALTORS, Greater Fort Worth Association of REALTORS, Texas Association of REALTORS, and the National Association of REALTORS. Ms. Hearne is a former Board member of the Fort Worth Chamber of Commerce North Area Council, the North Texas SIDS Alliance and the Harris Methodist Health Foundation. As Broker for Tina Hearne Realtors, Tina not only brings her numerous years of experience but also contributes to the team with her enthusiasm and passion to help people with their real estate needs. Give Tina a call today at 817-205-5044 or email her at tina@tinahearnerealtors.com.